Review the nominees by Wednesday, September 20 to influence the Sydney Summit Superuser Awards winner. Voting is now closed. Stay tuned to find out who wins! The OpenStack Summit kicks off in less than eight weeks and seven deserving organizations have been nominated to be recognized during the opening keynotes. These organizations are competing to win the Superuser Award that will be presented by the most recent winner from the OpenStack Summit Boston. For this cycle, the community (that means you!) will review the candidates before the Superuser editorial advisors select the finalists and ultimate winner. 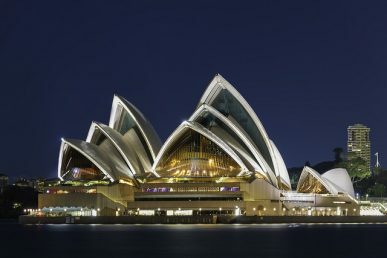 Finalists will be recognized onstage during the OpenStack Summit Sydney keynotes. Check out the nominations in alphabetical order below and click through to see each organization’s full application. Then, rate the nominees to select who you think should be recognized at the OpenStack Summit Sydney. You have until Wednesday, September 20 at 11:59 p.m. PT to rate them. Cast your ratings here. China Railway’s deployment of OpenStack cloud has helped them save millions of dollars and their application launch cycle has been shortened from several months to one-two days, with much quicker response to business requirements. Cloud computing has improved their resource utilization rates and measurements have shown that energy consumption has been saved by approximately 50 percent. They are also adjusting architecture for large-scale deployment, verifying that 800 servers hosting 100,000 VMs in the same region can be operating stably, supporting high availability of control nodes. China UnionPay is a pivotal element in China’s bankcard industry and has extended its card acceptance to 162 countries and regions. They have a scale of 1,200 compute nodes across two data centers, which make up 10,000 cores and about 2.0 petabytes of storage, all running on OpenStack. Some 80 percent of UnionPay’s production applications, including many critical ones, have been migrated onto UnionPay Cloud, accounting for over 150 applications. Their cloud is now supporting 500 million users, averaging 50 million transactions per day, 3,000 transaction per second at peak, with 100 billion RMB per day. City Network runs their public OpenStack based cloud in eight regions across three continents. All of their data centers are interconnected via private networks. Apart from their public cloud, they run a pan-European cloud for finance verticals solving all regulatory challenges. Over 2,000 users of their Infrastructure as a Service (IaaS) solutions run over 10,000 cores in production. IAG is the highly trusted name behind many of the APAC region’s leading insurance groups. Their adoption of OpenStack has enabled the move to a real-time data architecture that allows for continuous integration and building of data products in days instead of months, changing their culture and way of delivering both internal and external customer value. The performance for data workloads is four times the performance and one-fifth the cost of their VMware environment, currently supporting workloads from micro to 8xlarge with volumes from 40G to 18TB per node. OpenStack Swift has been part of Memset’s infrastructure since the Essex release. It forms the core of their multi-award winning distributed cloud storage platform, Memstore, which serves about 6.7 million requests a day. Memset operates multiple geographically diverse Swift platforms in production, each with varying capacity totaling around .75PB. Alongside this, their OpenStack IaaS deployment has approximately 2TB of production compute available over two geographically diverse regions advertising 300TB of raw Ceph storage through Cinder. Tencent is a leading provider of Internet value added services in China. Their OpenStack-based private cloud platform cuts server costs by 30 percent and operator and maintainer costs by 55 percent, and saves them RMB100 million+ each year. It shortens resource delivery from two weeks to 0.5 hours and supports the development teams (such as QQ, WeChat, and Game) for services that generate tens of billions of revenues. VEXXHOST is a leading Canadian public, private and hybrid cloud provider with an infrastructure powered by 100 percent vanilla OpenStack. Since the migration to an OpenStack infrastructure in 2011, VEXXHOST has been offering infrastructure-as-a-service without any vendor lock-in or proprietary technology. OpenStack compute, network and storage are the backbone powering all of their managed solutions. 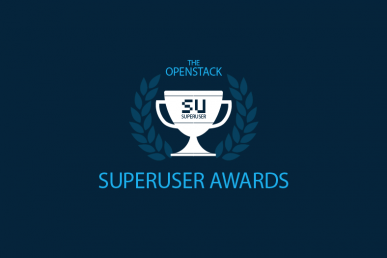 The IAG Data Team is one of the nominees for the Superuser Awards to be presented at the OpenStack Summit Sydney, November 6-8.